Data Conversion | TierFive, Inc.
Data Conversion is the conversion of computer data from one format to another. TierFive delivers comprehensive data migration services for legacy migration, archival storage technology refresh or core system transition. TierFive Data Conversion Services ensure the ability to prove the authenticity of your data by employing industry best practices including file level content based identification and comprehensive chain-of-custody reporting; minimizing the potential technical, business, legal and compliance risks. Our experienced staff can professionally manage your data migration project, or extend the capabilities of your IT professionals. 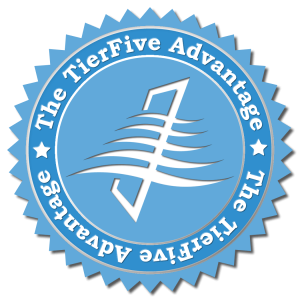 TierFive will only work with a static copy of your data as live conversion is not advisable. Together we can have your data use-ready as soon as possible.